Testimonials - Criminal Background Checks, Background Check, Court Background Check, Background Checks and Backgrounds. I recently used your services to screen potential tenants. I wished I would have known about this service three years ago. It would have saved me hundreds of dollars. 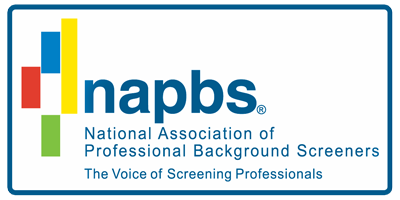 I will continue to use this service for all my screening needs and happily make referrals. Keep up the great job. I would like to let you know I have received my credit and I applaud your sense of fairness and your obvious dedication to customer service. I will return should I need this type of information again. Again, thank you for your attention to my problem and have a good day. I greatly appreciate your fast customer service and applaud your sense of fairness. I will highly recommend your company to anyone I meet who could use your services. Thank you for such a quick response on this matter. I did receive an email from PayPal regarding the refund and I appreciate the very professional matter this was handled and the way your company rectified the situation immediately. Again, thank you. Thank you thank you, thank you very much and it should turn out that Plan A, which I just implemented, provided everything that was needed. Again thank you for extraordinary customer service. I was really moved and actually touched by this experience of prompt, efficient yet personable excellent customer service. And perhaps I may seem here a bit over-the-top, which is one thing the critics they both love me and hate me, but here's the thing: every day my work has me experience what it is to be a customer and I get to look at how was I served as customer. I am served by many many different kinds of people from all over, and I receive service from a multitude of all kinds and sorts and sizes of organizations and business units, etc. And while many gurus today believe that excellent customer service is a thing of the past and that it's death or similar is a natural event due in a significant way to the internet revolution, I have steadfastly held to my conviction and thesis that customer-service will always and forever have "customer" in it. Thank you so much. It's great being a customer and thank you for serving me. For in your service I am honored.